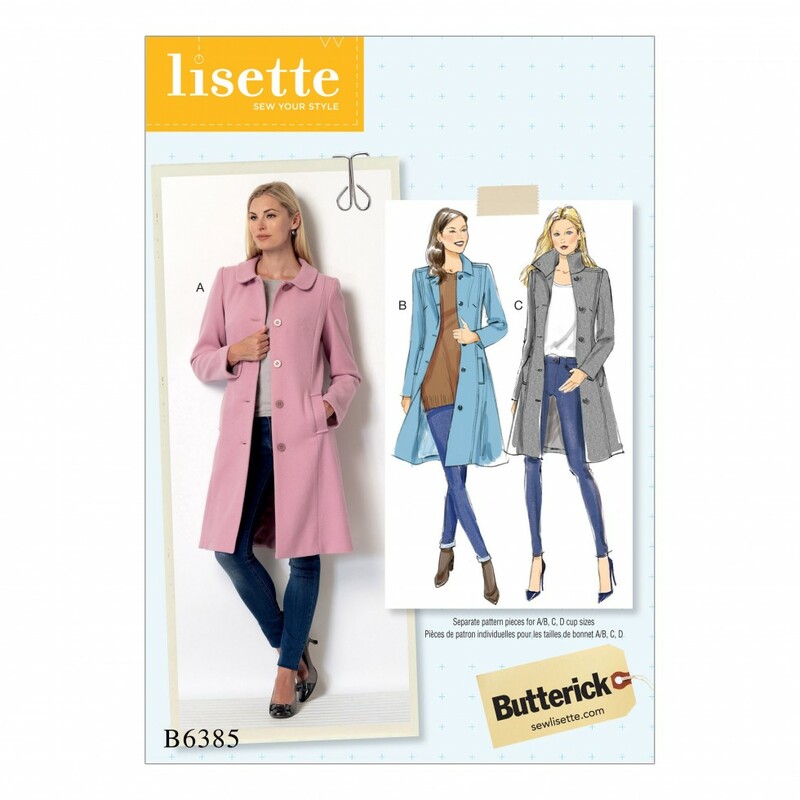 Fitted coats have princess seams, back yoke with forward shoulder seams, two piece sleeve, collar and pocket variations. A: Round collar. B: Pointed collar. C: Funnel neck.Separate pattern pieces are included for cup sizes A, B, C, D.